You may know that garage doors are one of the largest moving objects within a home. It is no doubt that electric garage door openers have been helpful to homeowners since they were first invented in 1926. However, as you can image, garage doors have come a long way since then. Today, there are plenty of options to choose from when it comes to garages. Doors come in different styles and colors and there are numerous choices for garage door openers. 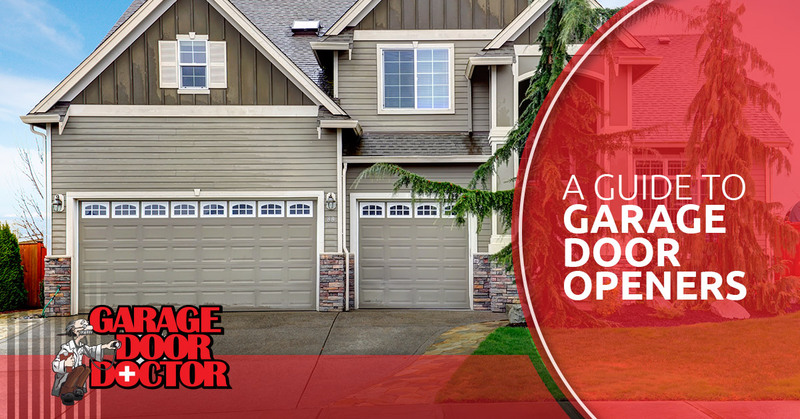 Garage door openers, however, can be tricky when trying to decide which one is right for your home When trying to decide which opener is right for you, there are three factors that should be considered: maintenance, price and the level of noise. You can find the best residential garage door opener to suit your needs by finding a compromise between those three factors. To help you find out which is best for you, we are going to highlight some of the most common garage door openers available today. Belt driven garage door openers are perhaps the most popular residential garage door opener. Belt driven openers brought in new technology that has been seen in garage door openers, and there is no sign of the technology slowing down anytime soon. In fact, it was the belt driven doors that enabled us to wirelessly control our garage door openers from anywhere just by simply using our smartphones or laptops. They also introduced self-adjusting limits, reliable lifetime warranties on major drive components, automatic closing features, and so much more. Belt driven garage door openers feature a reinforced belt that handles the lifting of the door. These belts can be made from a variety of material, like polyurethane, steel-reinforced rubber, and fiberglass. A main reason that belt driven garage door openers have become so popular is due to the decreased noise. Garage door openers are notorious for being noisy, but the belts allow for a quieter and smoother close. Plus, the belt driven openers have significantly less vibration than other openers. If a living space is adjacent or above your garage, you will not have to worry about belt driven doors disturbing you. Although they are a bit more expensive than other residential garage door openers, they are a great choice for homeowners. Garage Door Doctor Tip: A belt driven garage door opener will not magically eliminate noise and vibration if you have an older garage door. If noise is a problem with your garage door, we recommend contacting a professional garage door company to inspect your current setup. Chain driven garage door openers are also a popular opener option due to their cheaper components and simpler construction. Chain openers were the original form of garage door openers, but have come a long way since then. Once the garage door opener became a trend, many homeowners began using their garages as much as — if not more than — their front doors. Although they are a simple design, the chain driven openers reliability has kept it around. Because the system uses a metal chain to lift and lower the door, a chain driven opener is the best way to ensure you have the power to easily open and close your garage door, especially if it is a heavier type. On the downside, since this style relies on a chain to push or pull the door along the tracks it tends to be much noisier than other types of openers. These openers are affordable and reliable, but the level of noise make them a better option for detached garages, where the noise won’t be as disturbing. The once popular screw driven garage door opener has already had its prime years. For about 20 years, these openers were the best available option for garage door openers. These were the systems that made the — then new — features so popular, like battery backup systems, safety sensors, and electronic force and limit settings. Instead of pulling the door up, like the chain and belt models do, these openers lift the garage door by the rotation of a threaded metal rod. Screw driven openers have been known to be offer reliability as they contain far less moving parts, which decreases the chances of breaking down. These openers do require some maintenance and care from time to time, but if you meet the maintenance requirements, screw driven openers will last for years. Plus, screw driven openers can generally lift a door twice the speed of a belt or chain opener. As far as noise, these openers are louder than belt garage door opener but much quieter than chain driven ones. Jackshift openers have recently gained some popularity and there are plenty of reasons that are making them a more appealing option for residential garage doors. Most garage door openers as we know them are mounted on the garage ceiling. But with jackshaft openers, they are mounted on the call right next to the garage door. Perhaps the biggest advantage of these openers is the increased amount of security. Since the opener is mounted so closely to the door, most models feature a deadbolt that activates automatically when the door is shut. This feature makes it far more difficult for thieves and burglars to enter your home through the garage door. These openers have a motor that drives pulleys and cables to turn the torsion bar and open the garage door. And if you are someone who is tech savvy, these garage doors have some of the most robust on-board computerization. Because jackshaft openers feature some of the latest technology and incorporate a lot of on-board computerization, they tend to be pricier than other styles of residential garage door openers. Garage Door Doctor Tip: Jackshaft panels are no for single panel doors and can only be used on sectional garage doors. If you are unsure if a jackshaft opener is right for you, contact your local garage door service. Don’t get confused when it comes to direct drive garage openers. Originally, garage door openers that did not feature a chain or belt were separated into the direct drive category. However, in the recent years, a new style of residential garage door openers have launched and claimed the name ‘direct drive’ and is far different than most garage door openers that are available in today’s market. These openers can either feature a chain or a belt, but when compared to a chain driven garage door opener, the direct-drive uses a stationary chain that the motor moves along as opposed to a stationary motor that moves the chain. This unique change makes direct-drive openers extremely quiet during operation. Some customers have even stated that they are quieter than belt driven garage door openers. Plus, these models are very reliable and durable as the only moving part is the motor. Although these openers are more popular overseas, it will not be before long that they fill the shelves at hardware and home improvement stores. Now that you know the different types of openers, you’re ready to pick which one is best for your home. One of the most important things when choosing a garage door opener is choosing a professional and reliable garage door opener installation company. Your garage door opener will perform correctly as long as it is installed correctly. Because of this, it important to find a leading garage door company to install your new opener. 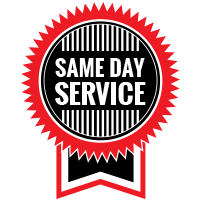 If you live in Indianapolis or the surrounding areas, there is no better choice for garage door opener installation than Garage Door Doctor! Contact the Indianapolis garage door installation professionals today and set up a free consultation! 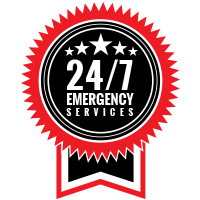 You can count on us for all of your garage door repair and installation needs.